“As far back as I can remember, when faced with a choice I struggled to make my mind up”. Not nearly as memorable a line. But for me, it captures something that I always struggled with. My brother still laughs at me because on my 8th birthday I burst into tears in a toy shop when I couldn’t decide which Airfix kit to buy with my birthday money. There was just so much choice! In school I was told I could do anything I wanted when I was older, because I was pretty good at most of my subjects. However, this was quite overwhelming for me. Faced with all that choice I couldn’t decide on any one particular thing. I hedged my bets, choosing a broad range of A-Levels and putting off any decisions until later. I applied to do the same degree as one of my best friends (Criminology), and then went on to postgraduate study (because another one of my friends was doing it). After six years of PG study I eventually earned a PhD in Criminology. A lot of people are impressed by me having a PhD. At parties I used to get called a lecturer when people introduced me (I was a part-time Teaching Associate for a while, but never a lecturer). People used to ask my opinion when there was a crime-related story on the news (and the news being what it is, this was very regularly!). The problem was, it never felt like ‘me’. When people called me a lecturer I felt like a middle-class fraud (there’s a criminological term for this — white-collar crime!). I never had the confidence or drive to try and make it in academia, because it wasn’t my passion. In short I didn’t have an identity. I knew this couldn’t go on. I was miserable, lacking in confidence and felt like I wasn’t getting anywhere. Some close friends and family gave me some amazing support and resources to try and help me figure out what the hell I should do with my life. One of these was a book called Strengthsfinder. It’s a bit ‘corporate’, but it helped show me how to match the kind of person I am with the kinds of things I might want to do. It helped me see that I have strengths in empathy, ideation and maximising. In short, I am good at understanding people, coming up with ideas and making the most of situations. I volunteered at a local primary school, started a qualification to become a personal trainer (I love all things to do with health, fitness and wellbeing) and began to do dabble at designing posters and t-shirts, mainly as gifts for friends. What I liked about graphic design was that it brought all my strengths together in one package. I like novelty, making connections between seemingly disparate things and just trying to make things ‘better’ in my own way. I devoured YouTube tutorials and online articles about the principles of graphic design. I started working on my own little projects, and people kept asking me to do things for them. I even contributed to a criminology conference…as a designer rather than a speaker! I was getting better but I knew I needed some help in order to get to where I wanted to be. I sent CVs and portfolios to graphic design agencies in Birmingham (which is where I live) and eventually secured an internship at an amazing agency in Wolverhampton called Mediaraft. 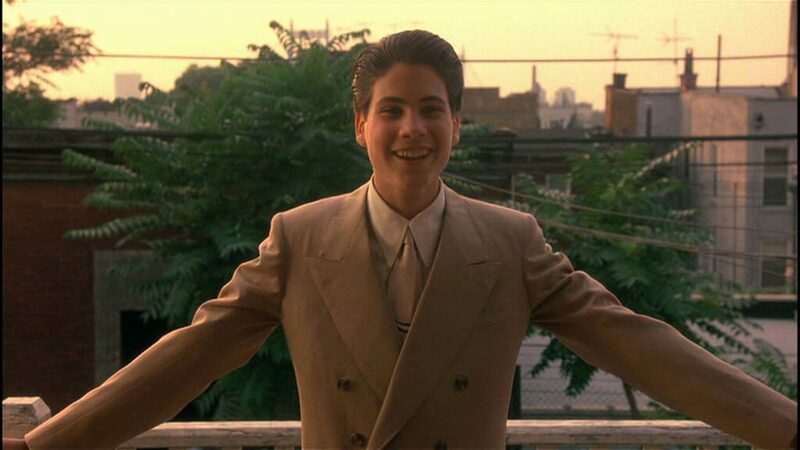 To go back to Goodfellas, working with other designers and as part of an exciting agency reaffirmed to me that this was what I wanted to do with my life. I began to feel more and more comfortable and sure of myself, and although I was new to the design game I had the desire and drive to make it work. Just over a year after I started my internship I now work as the sole in-house designer for an SME, and continue to learn new skills and practices every day. The funny thing is that now I have more of an identity I find it a lot easier to make choices in life, which includes helping others with identities of their own. If you have a business that needs a brand, or a project that needs a persona then I would love to hear from you. You should definitely check out my portfolio to see some of my featured work, or follow me on Instagram to keep up to date with my work-in-progress and illustrations. I am a freelance graphic and website designer based in Birmingham, UK. I post on everything related to my life in design and building WordPress websites.